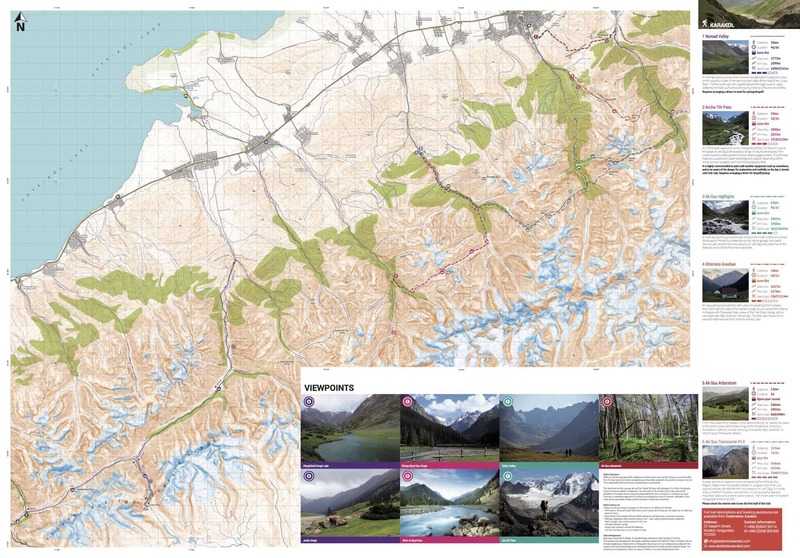 Download maps of Karakol to make your exploring easier. 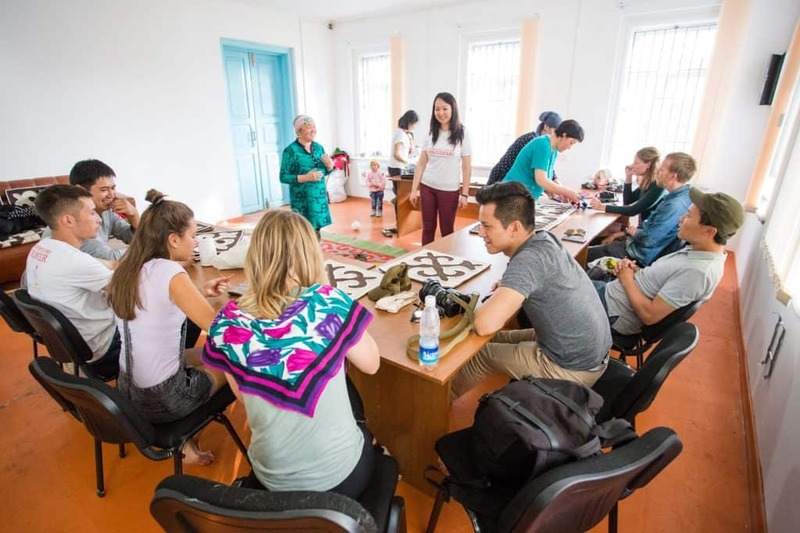 No matter what the length of your visit, having a local map of central Karakol that highlights all the major sites, markets and souvenir shops, tour operators and rental gear, Destination Karakol Visitor Center, and much more will make it easier to find what you need to make the most of your visit. 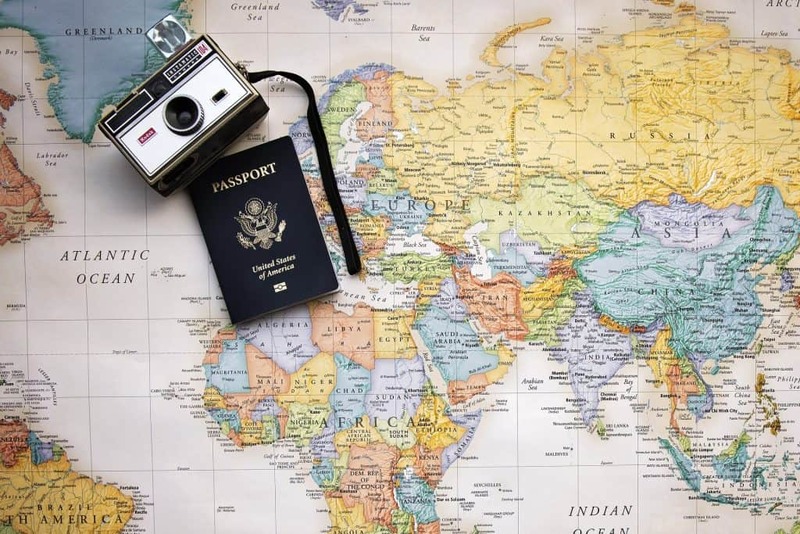 Most of this information is available online via Google Maps or Maps.me apps, but sometimes a good old fashioned paper map (or digital download) is just what want one needs. You can also find these and other maps at the Destination Karakol Visitor Center. Walking and trekking in Karakol area is what draws travelers from all over the world! Come and discover the celestial Tian Shan mountains with us! We will help you with the planning of your tour, furthermore, detailed hiking maps and interesting hiking suggestions are available at our tourist office. The central part of Karakol is where many of the services, sites, markets, shops, restaurants and cafes are located. However, many of the available maps of Karakol are too large-scale to provide enough detail of the center part of town. 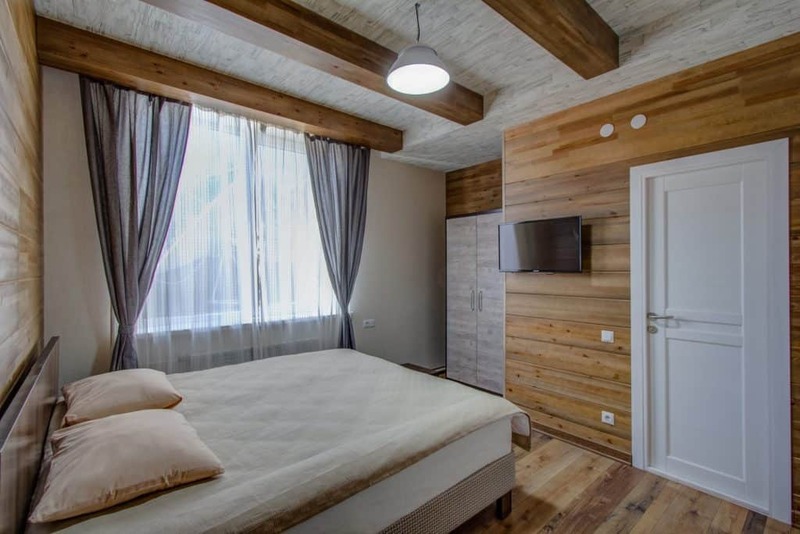 And, they usually don't provide details on opening hours, marshrutka routes, and other information relevant for travelers. 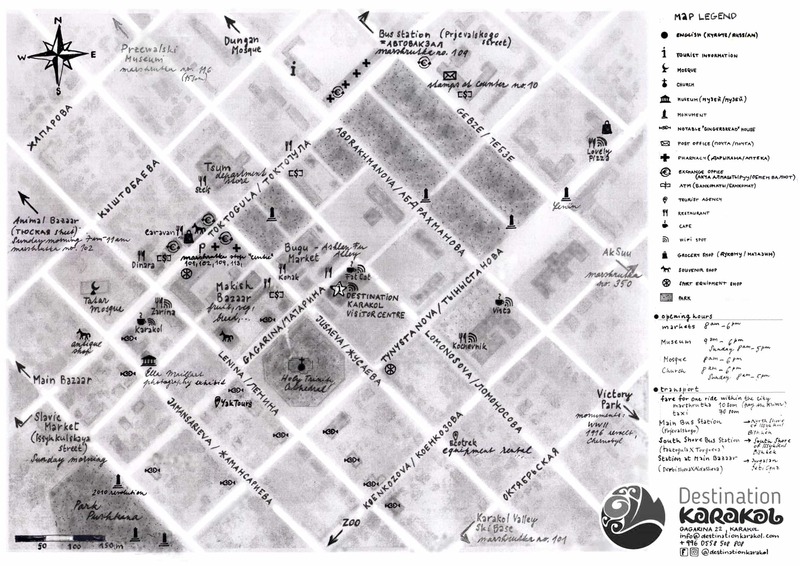 So, we teamed up with Lida, a volunteer working with Leadership NGO, to create this hand drawn map for travelers. You can also download the map here. 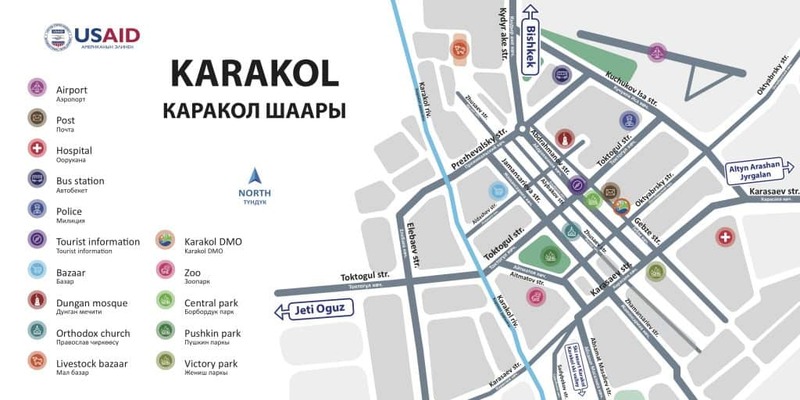 You can find many of the main attractions and sites, as well as bus stations and other practical travel details, in this Karakol map. You can also download the PDF of this Karakol map.